At Camp Nesher, we believe that Modern Orthodox Judaism plays an integral role in all that we do. 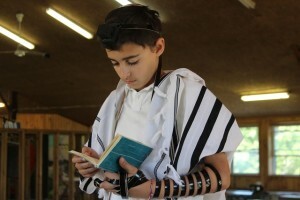 We have minyan three times daily including an age-appropriate morning tefilah for our youngest campers. Chinuch classes are part of our regular schedule and are divided by Eidah (division) and age group. Our Educational Director, rabbis and teachers work together to create a program that is topical, thought provoking and inspiring, all within the informal setting that is camp. 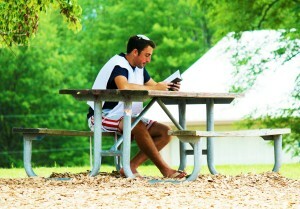 Shabbat is a warm and special time in Camp Nesher, and the part of our week that our whole camp family is together. From a Friday evening tefilah filled with singing and ruach all the way through to slow shirah before havdallah as we prepare to end Shabbat and begin a new week, there is a beautiful and unique spirit infused into a Shabbat at Camp Nesher.